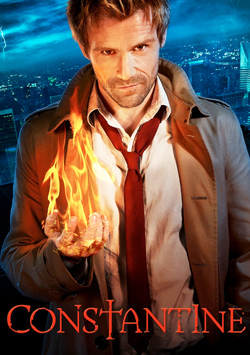 SUMMARY: John Constantine: a demon hunter and dabbling master of the occult who battles the demons and tricksters of Hell with a wicked wit and a dangerously deep understanding of the dark arts. Struggling with his past sins, his soul already damned to Hell for when he did the same to a child, John is pulled back into events of the demonic world after having given up on it. Now, he’ll do whatever it takes to guard the innocent from the converging supernatural threats that constantly break through to our world, which occur more and more frequently, due to the “Rising Darkness”. Balancing his actions upon the line of good and evil, Constantine uses his skills and a supernatural scry map to journey the nation to send these terrors back to their own world, all for the hope of redeeming his soul from eternal torment.